With the upcoming CIP Forum 2011 the focus will once again be on growth from innovation and innovation-based business models. In the discussion of organizations that provide technology or patent rights to others, Non-Practicing Entities or as some of them are called "Patent trolls" are always debated. My objective with this post is to introduce the concepts and explain the frequently disputed business model. A patent is an exclusive right to prevent others from making, using, selling or distributing an invention that is considered new, non-obvious and useful or industrially applicable. A patent does not give the proprietor of the patent the right to use the patented invention, should it fall within the scope of an earlier patent. Patents per se has nothing to do with the business model used by the patent holder or the pricing of products; Skype, Google, and other firms known for providing free services to their users, is still developing and filing patents to claim their rights to inventions, primarily to keep competitors away. A patent is a limited right (often 20 years from the filing date) that the government offers to inventors in exchange for their agreement to share the details of their invention with the public. The patent system incentivizes organizations to invest in research and development, and to disclose instead of keeping inventions secret in exchange for exclusivity. Being able to keep competitors away for a limited time, gives the inventor the chance to recover their up-front investment in making the invention. For a new pharmaceutical drug this investment can be billions of dollars. In contrast to some granted patents covering software or business methods, the investment can in some cases be close to zero excluding the costs of patent filing. Like any other property right, a patent may be sold, licensed, mortgaged, assigned or transferred, given away or abandoned. A university researcher or single inventor can chose to start a company to manufacture and sell products based on its research outcome, or chose to use the exclusive right status of a patent to become a licensor. This allows the inventor to accumulate capital from licensing the invention so the inventor's time and energy can be spent on pure innovation, allowing others to concentrate on manufacturability and marketing of downstream products. This can be seen as a straight forward application of Adam Smith's division of labor that having a group of people focus exclusively on inventing new things. There are numbers of research-based companies that develop new technology or pharmaceutical drugs just to license it to other firms to commercialize. The object for transaction can be just the right to exclude someone, or it can be drawings, data, relating non-patented inventions, knowledge in different forms, knowhow etc. This ability to assign ownership or rights increases the liquidity of patents as property. Third parties can license or acquire patents and the same rights to prevent others from exploiting the inventions, as if they had originally made the inventions themselves. Small companies or individual inventors that don't have the funds to claim their rights against multinational companies can sell their patents to companies willing to enforce them against infringers. Licensing of patents is nothing new. 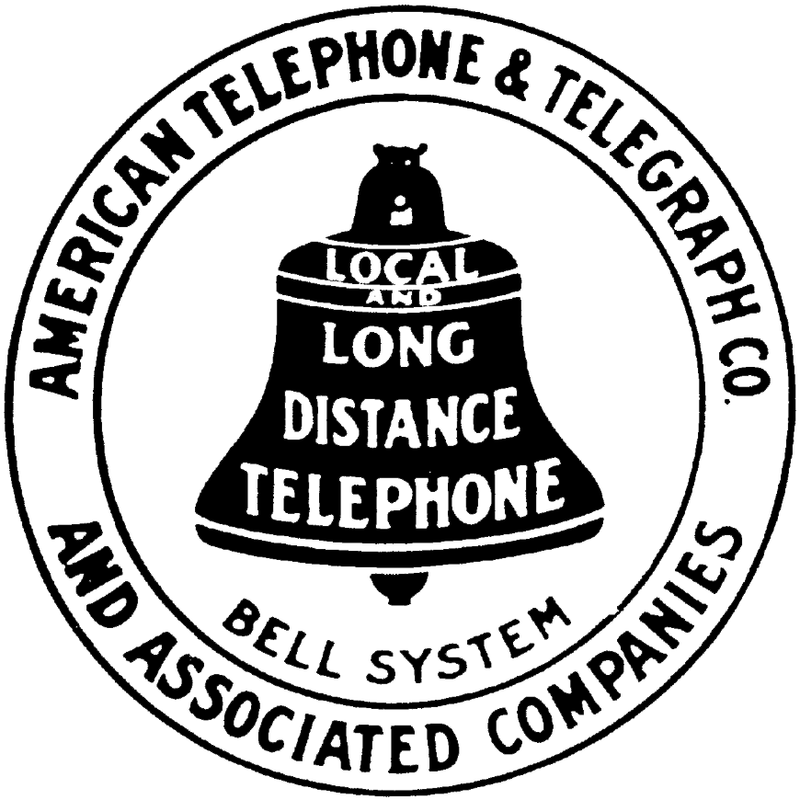 In 1894, American Bell Telephone Company's R&D department licensed 73 patents from outside inventors, developing only 12 inventions from its own employees. It is common for companies engaged in complex technical fields to enter into license agreements associated with the production of a single product. Scott McGregor, President & CEO of Broadcom, has said that "a cell phone these days can have hundreds of devices that are part of it; each one of those can have hundreds of aspects to it. 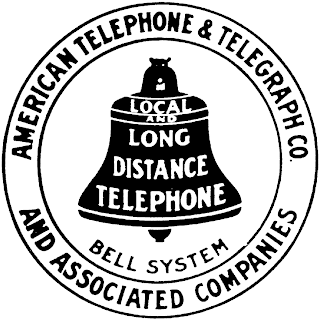 You could literally have a million or more patents that would apply to a single handset". It is therefore common that even competitors license patents to each other under cross-licensing agreements in order to share the benefits of using each other's patented inventions and reduce the risk of being sued by the other party. When one company sues another (Nokia vs Apple) the other company often countersues the first one (Apple vs Nokia) and the litigation process often results in that the parties come to an agreement, cross license patents, and pay licensing fees to the company with a stronger case. Counter-assertion is an important stabilizing force in many patent disputes. A non-practicing entity (NPE) is a patent owner who does not manufacture or use patented inventions but rather than abandoning the rights to exclude, an NPE seeks to license the rights to others. The value proposition is thus not a product or service, but the rights to an invention with or without supporting knowledge and know-how. A single inventor, a university, a research institute, an SME, a multinational company or an investment fund, can all be non-practicing entities, depending on their choice of business model. 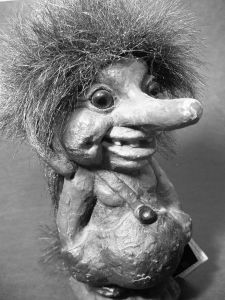 The term patent troll is sometimes used for NPEs that enforce its patents against one or more alleged infringers in an aggressive or opportunistic manner. The general idea of these firms is to develop a large patent portfolio and to license these patents to companies that infringe on them or potentially filing lawsuits against these companies if they refuse to take a license. In some cases the NPE analyze popular products on the market to find remote patents that could be infringed, and approach the patent holder to acquire or get a license to sue. In some cases these firms have as their business model to purchase patents, often cheaply from technology companies forced by bankruptcy to auction its patents, with the sole purpose to sue and enforce it against companies that manufacture or market products, potentially infringing any of the patents. Some of those accused of being patent trolls argue that they are the modern incarnation of Robin Hood helping smaller companies and inventors against large companies who have stolen their ideas. Legal extortion or value proposition? To seek to derive income from the enforcement of patent rights is perfectly legal but it sometimes has troubling implications for the makers and sellers of products and services. As the entity is not selling products or services, almost by definition it does not infringe on the patent rights contained by others, thus they are essentially invulnerable to counter-assertion. This gives NPEs a position to negotiate licensing fees that could be argued to be out of alignment with their contribution to the alleged infringer's product or service. As a result, a patent held by an NPE is often considered more threatening to industry participants than the same patent held by a competitor. As a result of that, there are operating companies that sell their patents to NPEs to assert the patents without the operating company being involved. The more dubious NPEs can see even a weak patent as a lottery ticket hoping the alleged infringer chose to pay up without completing a lawsuit. If the defendant chooses to litigate then both sides must absorb heavy litigation costs no matter who wins. As even a successful litigant must pay the costs of defending its case, and that the cost can run into the millions, operating companies may chose to pay up even though they probably would win if they take the case all the way through trial, to avoid the time, expense, and uncertainty. This is something that the more dubious NPEs take into consideration when they approach operating companies. NPEs generate revenues through licensing agreements or damages awarded by a court. Licensing agreements can include up-front license fees, milestone payments contingent upon achieving certain goals, and royalty revenue from the commercialization of the licensed technology. Damages are awarded on the basis of how much value the defendant is obtaining as a result of its infringing activity. All NPEs have to manage their patent portfolios, and identifying existing or potential application areas. Independent of being a single inventor, a university or a patent holding company, activities also involve finding potential licensees, negotiating terms and conditions and collecting license fees. Most NPEs also have internal research and development and patent filing and maintenance activities. There is a continuum from organizations that are doing substantial investments in R&D to generate inventions and patents, and organizations focusing on acquiring and aggregating others' patents. The business model of Non-Practicing Entities is widely debated and there are firms with dubious motifs. Companies that do not manufacture or intend to manufacture anything are often seen as profiting from others in a negative way (at least in the media). At the same time companies outsource or move production to low cost countries, leaving the western world to be “the innovators” where the output is innovation and intellectual property. Good guys can be found in both ends of the scale, providing valuable inventions, knowledge, data, instructions or knowhow to manufacturing companies, or just aggregating and providing the rights reducing the time and cost for manufacturing companies to find all relevant patents covering a technology area. Without the existence of entities willing to buy patents as a last resort there’s no credible threat a single inventor can make towards a large company. A rational defendant will simply carry on knowing the patent can’t be successfully enforced, and inventors at the margins may not undertake their research in the first place.